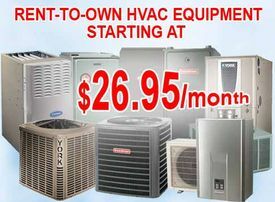 Most HVAC contractors in Toronto offer heating and cooling systems separately. While the heating systems in Canada usually consist of heat pumps, heaters, high-efficiency gas furnaces, boilers and steamers, the cooling systems consist of coolers and air conditioners. Given the cost of installation and the quality of ductwork installation, many furnace sale providers encourage customers to explore the possibility of renting furnace and AC combo together. Here are 5 undeniable advantages of opting for furnace and air conditioner installation combo. The cost of ductwork installation inflates significantly when furnace and air conditioner layout are placed separately. With the furnace and AC installation done as a combo, the average cost of adding an extra duct and vent for HVAC comes down to $580 from $2350. Adding ducts and vents comes handy when the house is relatively new and the furnace is a forced-air type. Many furnace owners complain about a foul burning smell emanating from the vents due to the presence of particulate matter and obnoxious carbon monoxide. Due to poor combustion of the gas, the quality of indoor air is significantly affected. With furnace and AC combo installation, the customers of furnace rental services can enjoy cozy, odorless and healthy indoor space. Moreover, during the day time, AC keeps the room temperature relatively stable. By the time the furnace starts operating, the room has conditioner ambient atmosphere which is ideal for warming. In short, running the furnace and AC simultaneously has a positive effect on the indoor air quality. The ductwork installation for the HVAC units can have a sizeable impact on the structure of the walls. With loads of drills and holes to be made, the final result can be devastating. If you are a tenant, the damage has to be borne by you. For new house owners, watching unnecessary drills and holes on the wall keep many customers away from availing furnace sale services. With furnace and AC combo, there is minimum damage to the walls. It is stated by leading energy consumption study researchers that use of furnace and AC helps in maintaining an optimum zone inside the house. The zoning prevents loss of energy during summer and winter. For greater energy efficiency in the house, many HVAC contractors in Toronto recommend furnace and AC with ductless cooling systems to ensure highest energy efficiency. Moreover, ductless systems have lower heat dissipation and hence contribute to energy saving. Use of advanced refrigeration and cooling systems helps in reducing the carbon footprint. In winters, electrical failures are very common. Therefore, furnaces running on electrical firing may not be of any use. However, with furnace and AC combo with dual-fuel systems, this issue is completely resolved. That’s why many furnace rental service providers keep HVAC systems with dual fuel system. Such units can seamlessly alternate between gas and electrical operation without affecting the indoor conditions.